Do you need Micellar Water? The answer is “Yes” – it is strongly beneficial to the skin of the face. The gentle Micellar Water with an extract of natural Bulgarian Rosa Damascena flowers combines three effects in just one product – it cleanses, calms and refreshes the face without stimulating it excessively. The Micellar Water removes any impurities and makeup from the face, especially from the areas around the eyes, the nostrils and the mouth. The extract of natural Bulgarian Rosa Damascena flowers has a calming and regenerating effect on the skin. The delicate formula with Bulgarian Rosa Damascena boosts skin regeneration and prevents the appearance of wrinkles. The Micellar Water has been adapted to all skin types – dry, oily, normal and delicate. Do not forget that the skin on your face is constantly exposed to the challenges of your everyday environment and routine – makeup, dust, sun, workplace factors. 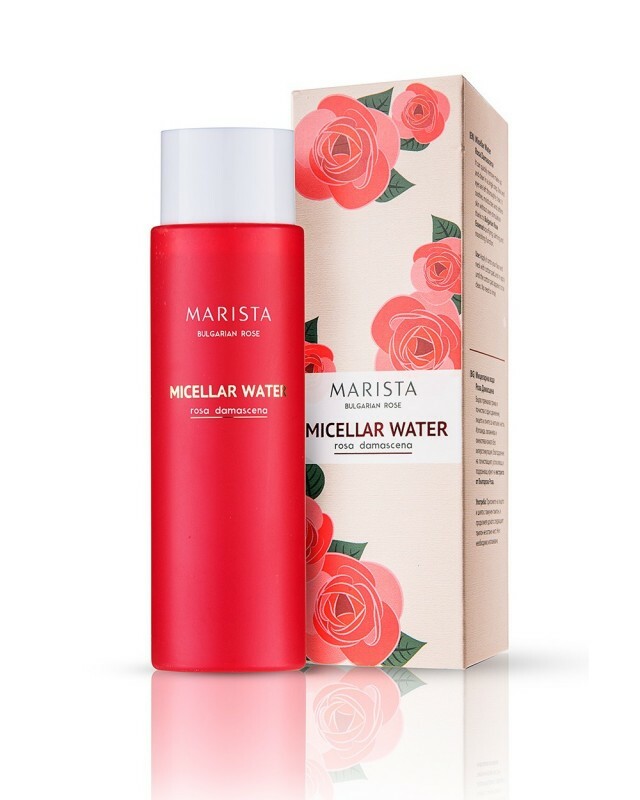 Your face deserves the best of cares and attention and this is what the micellar water of Marista is here for. We have developed the product especially for you -to make the skin of your face always clean, healthy and radiant. Last, but not least, we are sure that you will fall in love with the fragrance of Rosa Damascena – the Queen of Roses. One brief delicate whiff has the potent healing effect of relieving tension and relaxing the mind and spirit. After a busy day, full of duties and emotions, you deserve relaxation and the peace of silent nature. Apply to face and neck with a cotton pad and re-apply until pads become clean. No rinsing needed. Can you sense the fragrance? It will always be with you when you use products containing an extract of natural Bulgarian Rosa Damascena flowers. Aqua, Rosa Damascena Flower Water, Glycerin, Disodium Cocoamphodiacetate, Phenoxyethanol, Panthenol, Citric Acid, Tetrasodium EDTA, Geraniol, Citronellol. No artificial perfume compositions. Not only cleans fantastic your make up, but also moisturizes and tones your face skin! Especially for problematic skin rose oil/water are calming and refreshing the look. I would say rose extractions are giving a boost in the skin. 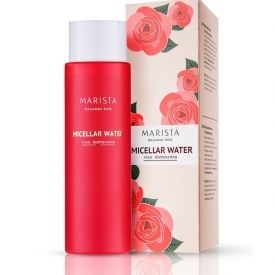 Amazing Micellar Water - A Must Have! The scent is very light, pleasant and comforting (scent is very important to me). This product cleans my face really well. I've been using this daily for many many months and it is in no way drying to my skin.